JohnsonArms has impressed yet again (and so soon too!) 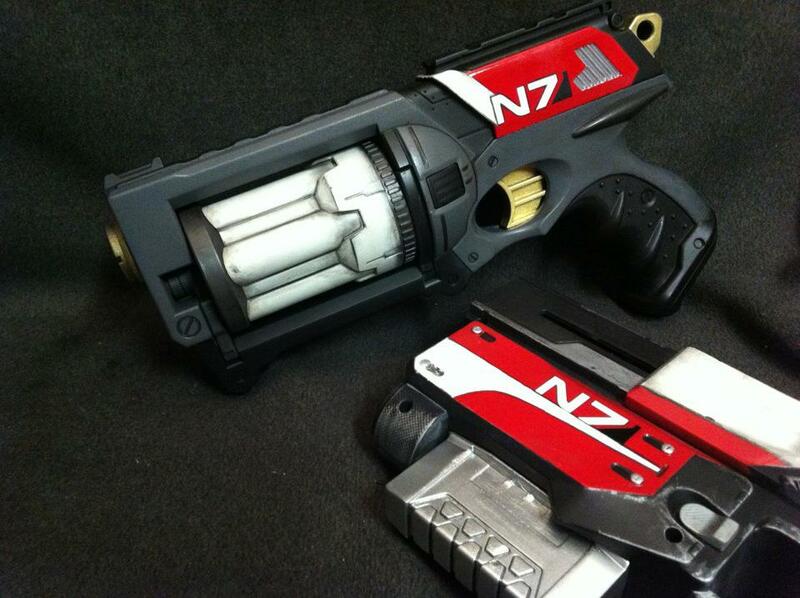 with two more pieces of his Mass Effect line of custom painted blasters. 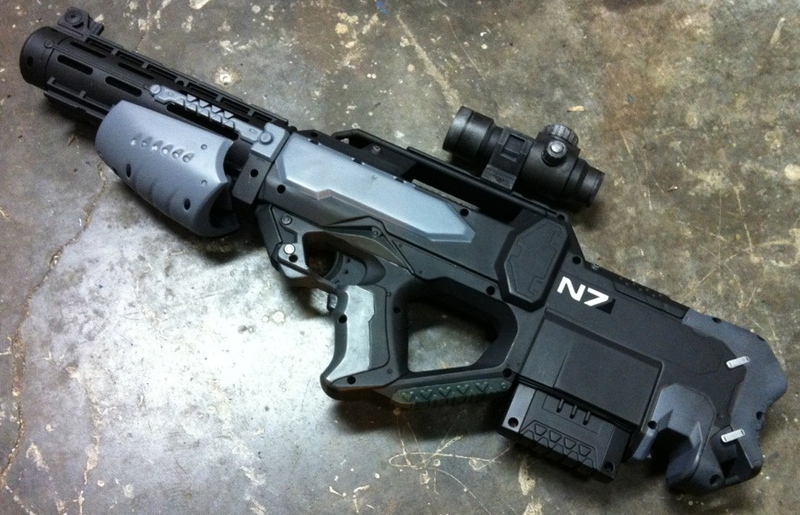 The latest additions include a Maverick REV-6 and a Recon CS-6, both with custom Mass Effect paint schemes. I especially like the scarlet red accents. 😉 Brian also gives a worn, metallic look to the blasters (and that’s a very hard trick to pull off on plastic!). Below are a few pics of some other blasters within the series. 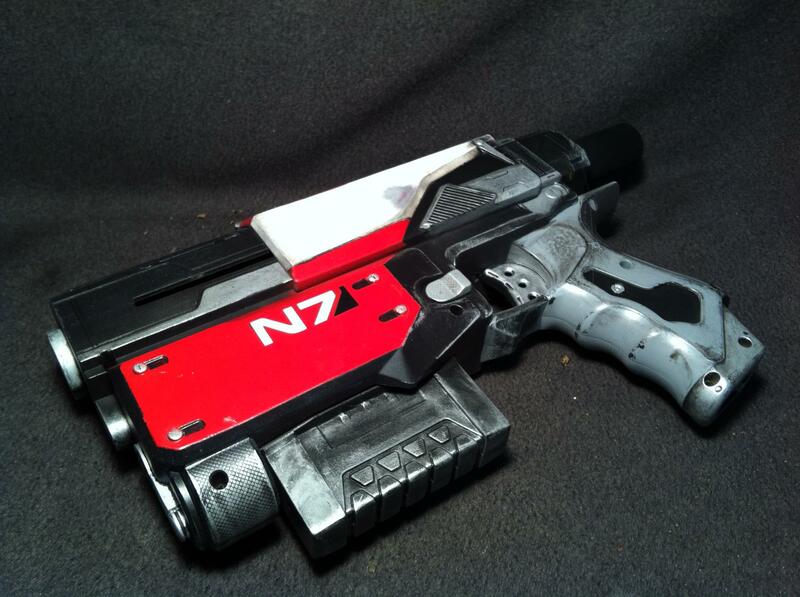 All of Brian’s work is for sale, and he takes custom orders, so if you see something you like, or if you have an idea for your own, one of a kind blaster, send him an email at JohnsonArms76@gmail.com to get a quote (Also, tell him ShiningFoam sent you there!). 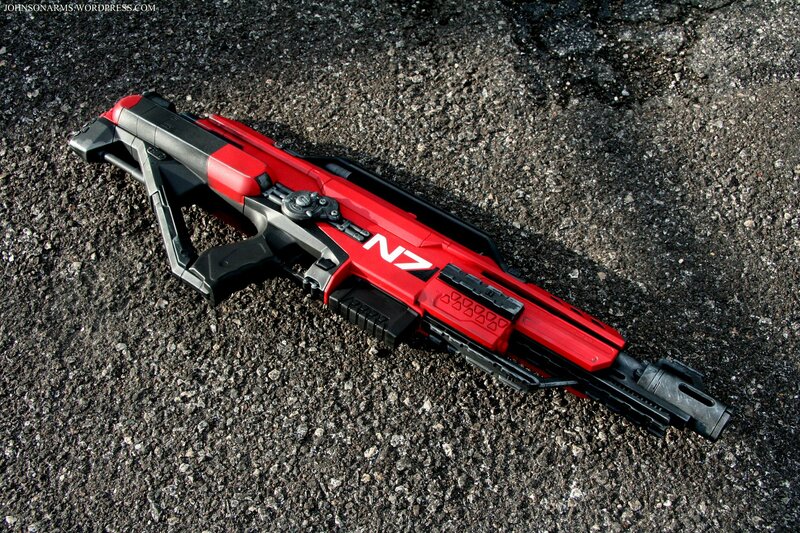 When you walk into battle looking like Commander Shepard, or any other alien-slaying superhero, you won’t regret it. Visit the JohnsonArms blog here. And the Facebook Photo Gallery here. Alright guys, now before I get your hopes up too high, this might be a typo. But I was just on Hasbro’s site and clicked on the “News” section of the Nerf page, and I found this. 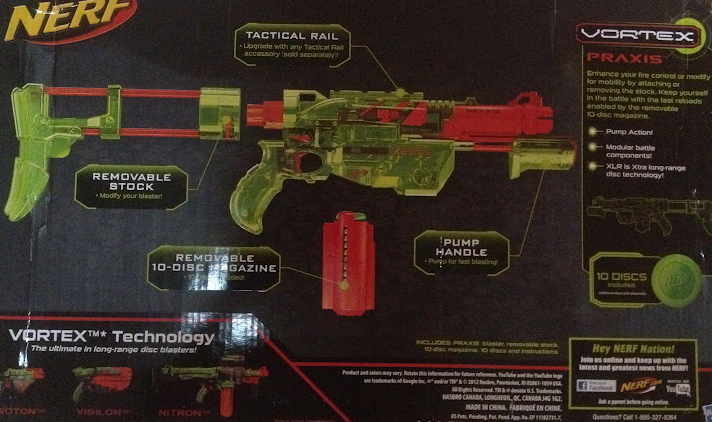 It discusses the latest Nerf Releases at the upcoming (but undefined) Toy Fair. Okay, we knew most of that. 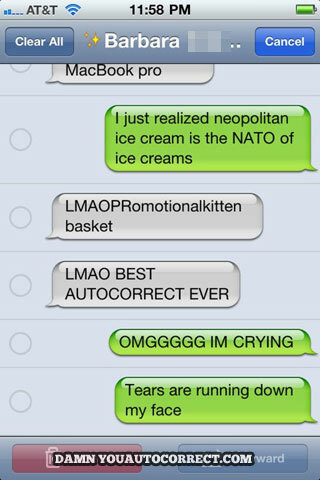 But look at what I’ve bolded. 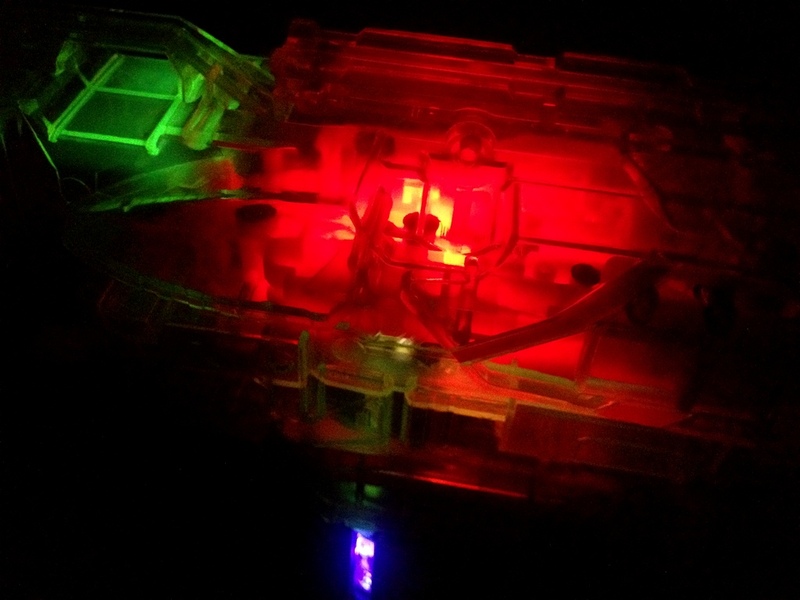 “…new VORTEX disc blasters”. BLASTERS! PLURAL! More than one! Now here’s where the theory falters. The 2012 Toy fair has already come and gone. So unless this article was indicating the 2013 Toy Fair (no specific Toy Fair was mentioned), then that extra “s” is just a typo. Keep in mind, the article was written on February 9th, 2012, five months ago. But that brings us into the question of the day. The Nerf Vortex line of blasters has been doing really well, especially with the new Pyragon coming out, and I expect more blasters in the series to be released too. So tell me guys, do you think this is just a typo and far-flung speculation? Or are there more Vortex blasters waiting for us around the corner? 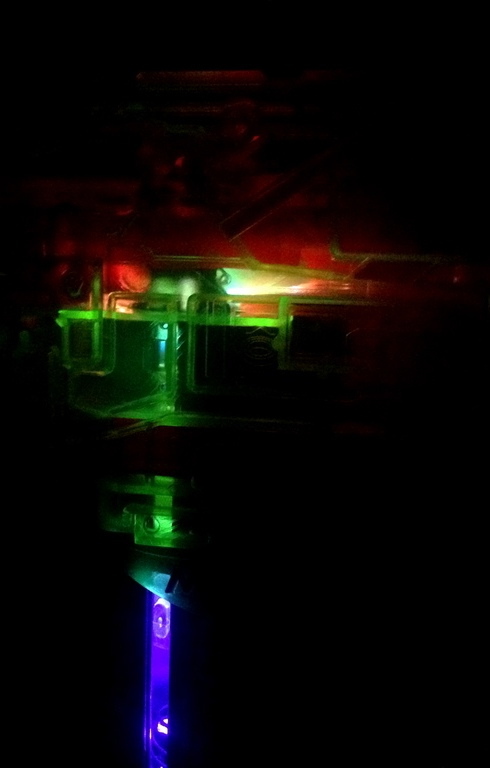 Also, if there are new Vortex blasters, what do you think they will be like? It’d like to see one that can fire two discs at once myself.